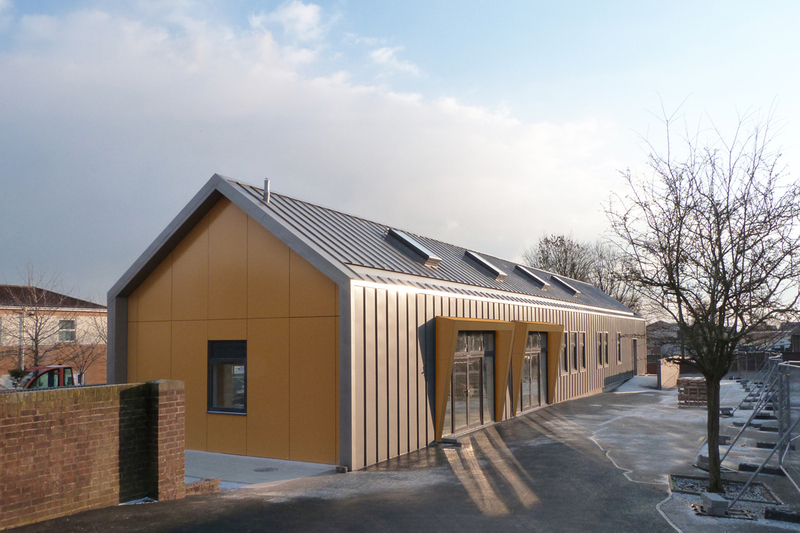 StudioLIME’s Dining Hall at Filton Avenue Primary School has reached completion. 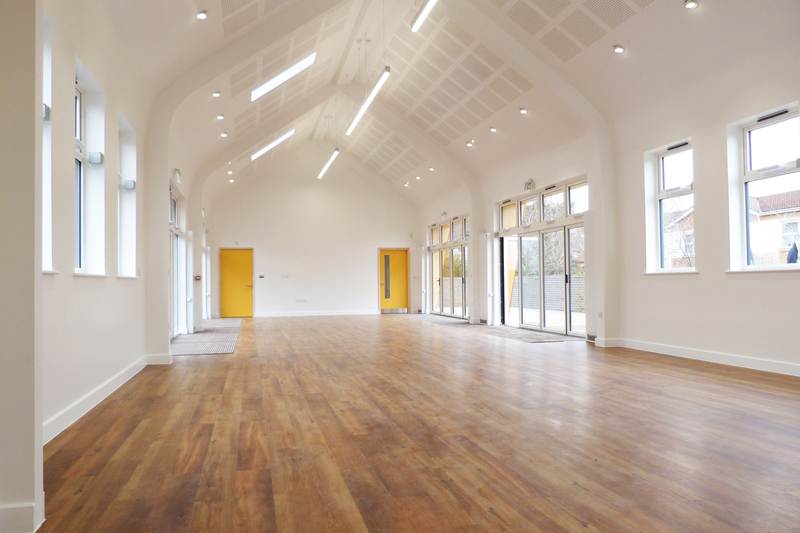 The new hall provides a new commercial kitchen and facilities for community use. 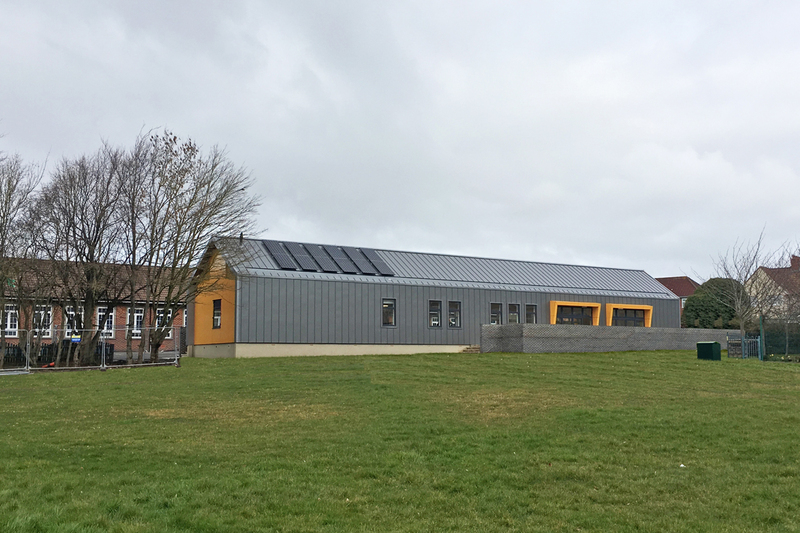 An external dining terrace with views over the playing field is accessed via bi-fold doors to allow students to sit outside in good weather. 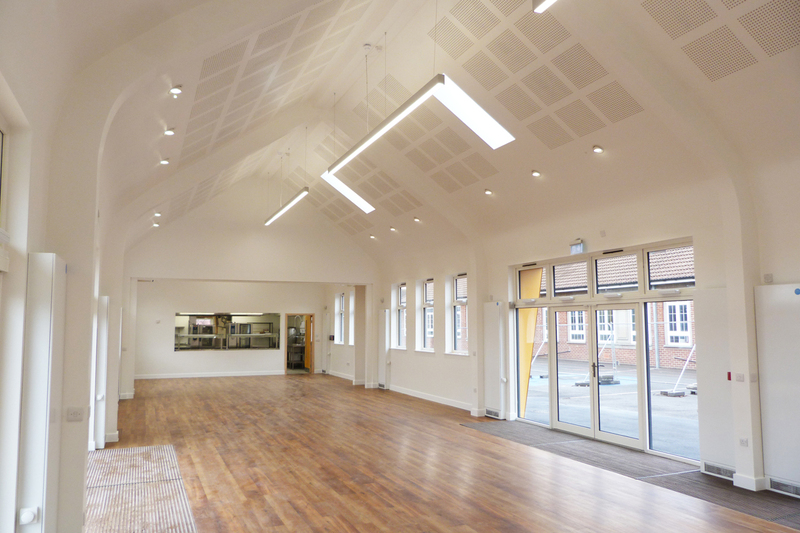 The acoustic ceiling offers interest whilst performing an essential function in the space. 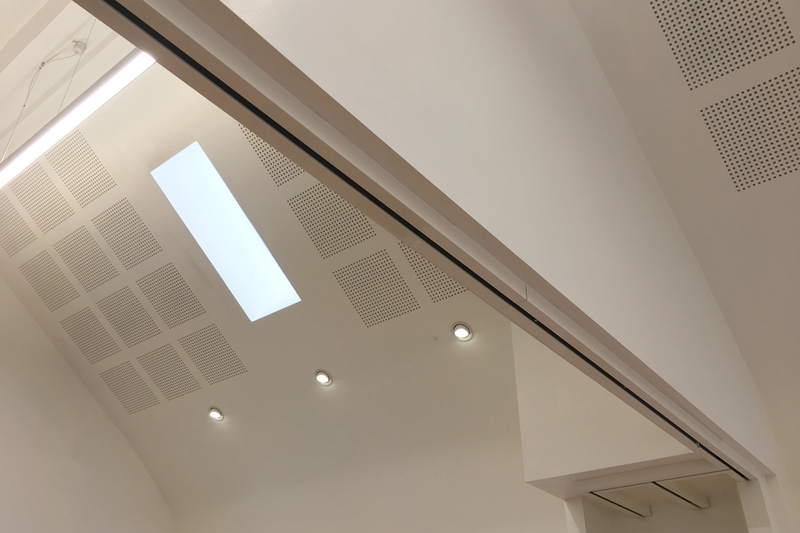 The hall features roof lights to maximize natural light, low energy lighting and photovoltaics with display screen allowing students to see the amount of sustainable energy generated.